A standard-type sign-off from Atlanta's Fox Network O&O station from its pre-Fox era when Channel 5 was a CBS affiliate.  The clip commences with the sign-off announcement displaying a graphic of WAGA's studio building, which resembles an antebellum Southern mansion (it's been the home of Channel 5 since 1966). The SSB film is next, presumably a production of the U.S. Navy, for it has scenes of the Navy's Blue Angels Squad and a battleship along with various U.S. landmarks. Channel 5 is Atlanta's second-oldest TV station behind WSB-TV Channel 2. From its first sign-on in March 1949 to 1985 it was owned by Storer Broadcasting. Several turnovers in ownership followed, culminating in the purchase of WAGA-TV by Atlanta-based New World Communications in 1993. In May 1994 the Fox network signed a multi-year deal with New World to affiliate with most of New World's stations effective in the fall, despite the fact that Fox already had an O&O station in Altanta, WATL-TV 36 (Fox would soon sell it off). WAGA-TV officially became Atlanta's Fox station in December 1994; the CBS network joined up with WGNX-TV 46, now WGCL. In January 1997, WAGA, along with ten other New World stations, was purchased outright by Fox.